Traditional point security products aren’t sufficient for meeting AWS HIPAA compliance requirements and keeping up with today’s changing cyber security landscape. They’re costly, complex, challenging to manage, and in many cases incompatible with AWS. In fact, based on a LinkedIn survey (2016), 59% of respondents said their traditional security solutions work somewhat or not at all when it comes to monitoring cloud environments like AWS. AlienVault® Unified Security Management™ (USM) is a cloud-native, scalable, and centrally managed collection of essential security capabilities, helping you satisfy the HIPAA Security Rule. Using its purpose-built sensor that integrates tightly with AWS APIs, USM Anywhere helps you to quickly identify suspicious or malicious behavior in your AWS environment. 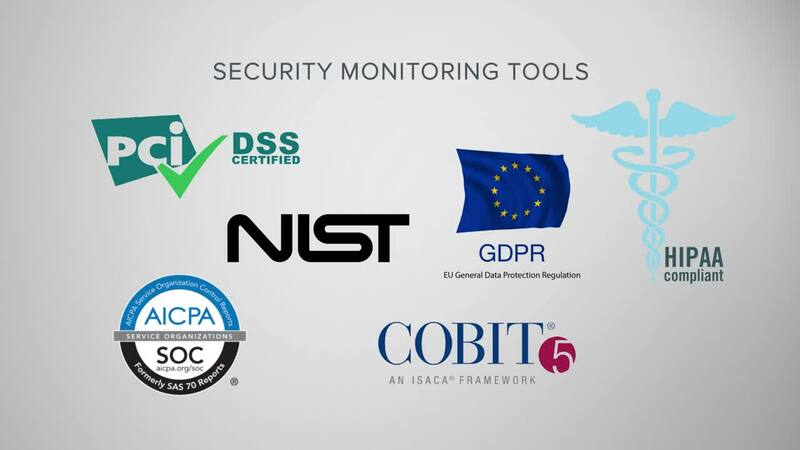 AlienVault makes compliance a top priority for your organization and for ours. We have adopted the NIST Cybersecurity Framework (CSF), aligning our security controls and processes with industry-proven security best practices. We use our own USM platform to demonstrate and maintain compliance, working with third-party auditors to regularly test our systems, controls, and processes. According to the Sixth Annual Benchmark Study on Privacy & Security of Healthcare Data (2016), 89% of healthcare organizations suffered a data breach. It’s impossible to stop a persistent attacker from penetrating even the most secure defenses. Therefore, it’s essential to detect and respond to attacks as quickly as possible. At AlienVault, we help healthcare organizations of all sizes achieve world-class threat detection and meet AWS HIPAA compliance requirements without the headaches and huge expense of other solutions. Our unified approach puts hours back in your day with automated threat detection and integrated threat intelligence that eliminate manual, time-consuming log analysis and threat research. HIPAA Standard § 164.312(b) — Audit Controls states that you must "Implement hardware, software, and/or procedural mechanisms that record and examine activity in information systems that contain or use electronic protected health information." AlienVault USM Anywhere provides built-in and customizable HIPAA reports, along with intuitive dashboards and customizable views, that simplify adherence to this standard with an easy-to-use interface. HIPAA Compliance Standard § 164.312(c)(2) deals with data integrity and requires that any covered organization, “Implement electronic mechanisms to corroborate that electronic protected health information has not been altered or destroyed in an unauthorized manner.” With its AWS-native sensor, USM Anywhere helps entities satisfy this requirement by providing mechanisms for collecting and analyzing host logs, data sent over syslog, AWS CloudTrail and AWS CloudWatch logs, and AWS S3 storage logs. Additionally, it will create events and meta data for event response prioritization, and future auditing and reporting. Built-in asset discovery discovers assets running on-premises, and in cloud environments (including Azure, VMware, Hyper-V, AWS). Identifies systems susceptible to known vulnerabilities, and ranks them as 'high', 'medium' and 'low' risk to aid prioritization. Identifies patches or workarounds available to vulnerable systems. Identifies where security tools, such as antivirus and firewalls, have been disabled or have failed to start. Monitors access to and attempt to modify system and application binaries, configuration files, log files. Monitors user and administrator activities in cloud environments such as Azure and AWS, and within cloud applications such as Office 365. Continuously updated threat intelligence ensures that USM is operating with the latest correlation directives, vulnerability signatures, IDS rules, reports, guided threat response and more. Aggregates, analyzes and archives logs and events from systems, applications and devices from across your on-premises and cloud environments. Identifies logon success and failures. Identifies unauthorized attempts to access or modify key logs. Implement policies and procedures to ensure that all members of its workforce have appropriate access to electronic protected health information ..., and to prevent those workforce members who do not have access ... from obtaining access to electronic protected health information. Monitor access attempts to critical files and data, and alarm when unauthorized attempts are detected. Capture and monitor all login successes and failures to critical assets, particularly those containing electronic protected health information. Monitor for logon or access attempts from the accounts of users who have been de-provisioned. Provision for automated updates of USM infrastructure whenever updates are made available. Identifies systems susceptible to known vulnerabilities, or that may not have antivirus installed and/or operational. Identifies indicators of malware-based compromise, and enables orchestrated responses that can be automated or manually invoked to isolate infected systems and block malicious domains. Monitors and stores events from antivirus solutions that could indicate a compromise, or attempt to disable antivirus software. Monitors for changes to Office 365 policies including Information Management, and more. Captures and enables monitoring of logon success and failures to systems, security devices, cloud environments, and more. Identifies where new user and administrator accounts are created and deleted. Monitors public and dark web sources for the trade or communication of stolen credentials. Identifies use of default system accounts on Windows machines. Generates alarms on threats, classifying them across a kill-chain taxonomy to inform the risk level of that threat. Enables threat investigation and provides context to determine the nature of the threat. Provides recommended incident response guidance to contain or remediate the threat. Enables labels to be applied to alarms. Security orchestration and response capabilities enable manual or automated incident response, driving actions with leading security and IT operations tools including Cisco Umbrella, Carbon Black, Palo Alto Firewalls, and more. Enables creation of incident tickets within popular solutions like ServiceNow, directly from within the USM Anywhere console. Establish (and implement as needed) policies and procedures for responding to an emergency or other occurrence (for example, fire, vandalism, system failure, and natural disaster) that damages systems that contain electronic protected health information. USM Anywhere provides a fault resilient architecture that assures durability of all captured event and log data from your environments. Monitors for changes to Windows Group Policy and Office 365 policies that define automated logoff, session timeout, and access token timeout parameters. Monitors for changes to Windows Registry or application configuration files that define encryption settings for protected health information. Monitors for changes to Office 365 policies including Data Leakage Protection (DLP), information management, and more. File Integrity Monitoring can detect modification attempts to applications or online storage containing electronic protected health information. Unified log collection, review and analysis, with triggered alarms for high risk systems. Implement policies and procedures to protect electronic protected health information from improper alteration or destruction. Implement technical security measures to guard against unauthorized access to electronic protected health information that is being transmitted over an electronic communications network.